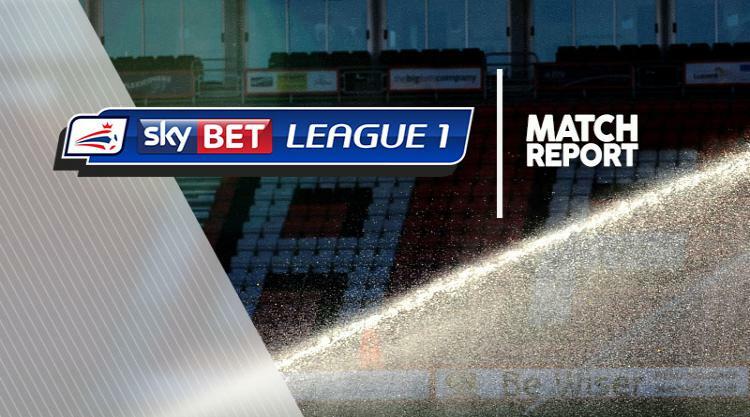 Swindon's Sky Bet League One survival hopes suffered a major blow after a 1-0 defeat at Walsall left them two points from safety with two games remaining. Joe Edwards' 85th-minute winner for Walsall was a dagger blow for the 22nd-placed Robins, especially with the two sides above them - Port Vale and Bury - having a game in hand. Walsall almost led inside a minute as Jason McCarthy would have swept home Kieron Morris' cross from 10 yards out if not for Robins defender Dion Conroy's goal-line clearance. Swindon responded as Fankaty Dabo lashed inches wide from 25 yards and Ben Gladwin was denied a brilliant solo goal by a superb one-handed stop from Walsall keeper Craig MacGillivray. Town's Charlie Colkett curled inches wide on the stroke of half-time and despite being second best after the break they almost won it with nine minutes left. However, MacGillivray produced another wonderful fingertip save to thwart Gladwin's glancing header and Walsall won it four minutes later. Substitute Erhun Oztumer picked out Edwards and he advanced into the box before drilling a cool finish across Lawrence Vigouroux.